Cork pads belongs to the field of fragile goods protection, including cork sheet layer, mesh transparent glue layer, glue does not transfer protective film layer, cork sheet layer and glue does not transfer protective film layer on both sides of the mesh transparent glue layer. 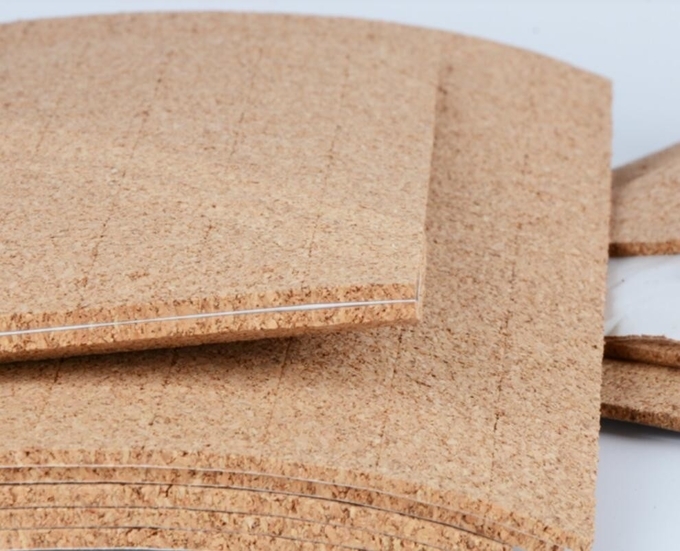 The shockproof PE film cork gasket is a kind of shockproof cork product used for packaging, in particular, a shockproof PE film cork gasket. The structure includes a cork layer and a removable film, and the removable film is adhered. A layer of release paper, a cork layer and a removable film layer adhere together. 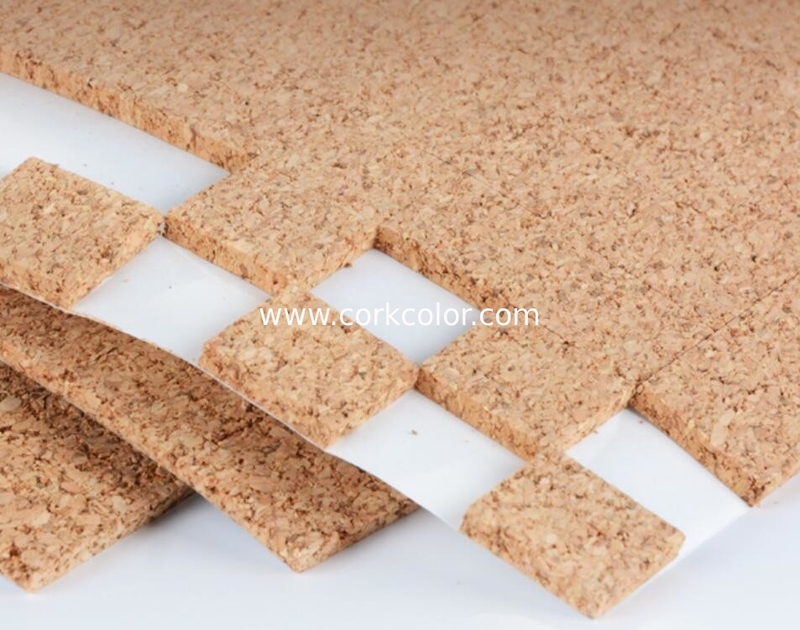 The cork layer and the removable rubber film are completely cut into small pieces, and the release paper layer is a whole. The shockproof PE film cork gasket can be easily adhered to the surface of the object, and is easy to remove without any residue or offset on the surface of the object. The cork gasket has very good shockproof effect, low cost, good shockproof effect, and convenient use. Safe, no residue or offset remains. Because the cork gasket is beautiful, clean and free of residue, safe, and easy to install, it can be easily adsorbed on the glass surface for a long time and can be easily removed. Even if it is heavily pressed, it will not leave marks when it is torn off. 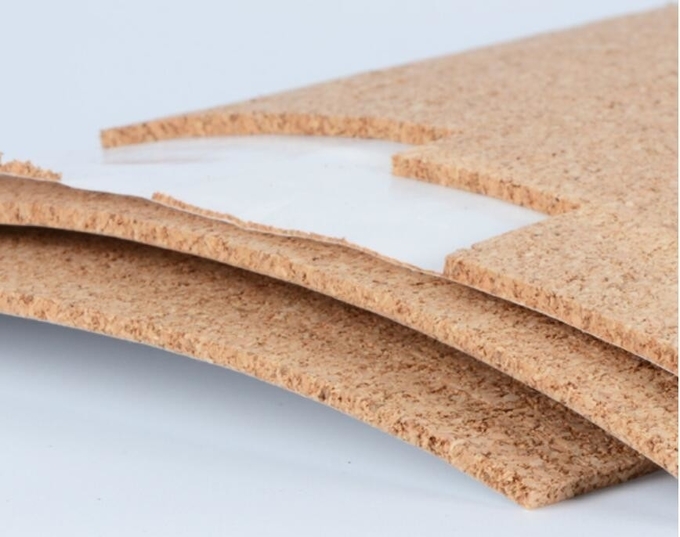 No residue or offset printed on the glass surface to maintain the best state of the glass during transportation; Cork gasket has very good shockproof effect, easy to use and safe; and non-toxic, odorless, no pollution, no aging phenomenon It is resistant to moisture, oil and dilute acid. Under the changes of temperature, humidity, pressure, and sunlight, air, frost and other external environment, it does not deform, deteriorate, and have stable performance. Therefore, it is widely used in the transportation of deep-processed glass such as tempered, hollow, laminated, coated and bulletproof.